1. Van-Phuc Hoang, Du Duong Bui, Thanh Quan Do, Van-Lan Dao,Dinh-Nhan Le, A Long Range, Energy Efficient Drought Monitoring and Early Warning System Based on Internet of Things. Smart Water. (2018, under review). 2. Nguyen L. B. Vo, Duong Du Bui, Hai Duy Do, Tien Le Thuy Du, Smart Watering System for sustainable urban greenery in Vietnam. Smart Water (2018, Under review). 3. Joost Buurman, Duong Du Bui, Tien Le Thuy Du. Drought risk assessment by combining household survey information and drought indicators: a case in Vietnam. International Journal of Water Resources Development, 2018 (Under review). 6. Tien Le Thuy Du, Duong Du Bui, Minh Duc Nguyen, Hyongki Lee. Satellite-Based, Multi-Indices for Evaluation of Agricultural Droughts in a Highly Dynamic Tropical Catchment, Central Vietnam. Water 2018, 10, 659. 8. Bui, T.N., Kawamura, A., Amaguchi, H., Bui, D.Duong., Truong, N.T., Nguyen, H.N., 2018. Economic Sustainability Assessment of Groundwater Resources: A case study of Hanoi, Vietnam. Journal of Environmental Sciences and Engineering (in press). 11. Nguyen Hoang Hiep, Nguyen Duc Luong, Tran Thi Viet Nga, Bui Thi Hieu, Ung Thi Thuy Ha, Bui Du Duong, Vu Duc Long, Faisal Hossain, Hyongki Lee. Hydrological Model Using Ground- and Satellite-based Data for River Flow Simulation towards Supporting Water Resource Management in the Red River Basin, Vietnam. Journal of Environmental Management. vol. 14, no. 217, pp. 346-355, 2018. https://doi.org/10.1016/j.jenvman.2018.03.100. 12. Hossain, Faisala, Sikder, Safata, Biswas, Nishana, Bonnema, Matthewa, Lee, Hyongki Luong, N.D. Hiep, N.H., Du Duong Bui, Long, Duc. 2017. Predicting Water Availability of the Regulated Mekong River Basin Using Satellite Observations and a Physical Model. Asian Journal of Water, Environment and Pollution, vol. 14, no. 3, pp. 39-48, 2017. DOI: 10.3233/AJW-170024. 15. Duong D Bui, Nghia C Nguyen, Nuong T Bui, Anh T T Le, Dao T Le. Climate change and groundwater resources in Mekong Delta, Vietnam. Journal of Groundwater Science and Engineering. 2017 Vol. 5 (1): 76-90. 18. Duong Du BUI, Akira KAWAMURA, Thanh Ngoc TONG, Hideo AMAGUCHI, Naoko NAKAGAWA. Recent trends in groundwater levels in Hanoi, Vietnam (in review). Journal of Hydrology (Impact Factor: 2.13, SCI). 2014. 19. Duong Du BUI, Akira KAWAMURA, Thanh Ngoc TONG, and others. 2012. Tempo-spatial analyses of recent trends in groundwater levels over the Red River Delta, Vietnam. Hydrogeology Journal (Impact Factor: 1.4, SCI). 20(8), 1635-1650. 20. Duong Du BUI, Akira KAWAMURA, Thanh Ngoc TONG, and others, 2012. Aquifer system characterization for potential groundwater resources in Hanoi, Vietnam. Hydrological process (Impact Factor: 1.8, SCI), 26(6), 932–946. 21. Duong Du BUI, Akira KAWAMURA, Thanh Ngoc TONG, Hideo AMAGUCHI, and others. 2011. Identification of aquifer system in the whole Red River Delta, Vietnam. Geosciences Journal (SCIE, Impact Factor: 0.67, SCIE). 2011. 15(3), 323-338. 22. Duong Du BUI, Cat Minh VU, Hung S. NGUYEN, Akira KAWAMURA, and others. 2011. Trends in hydroclimatic series in Thua Thien Hue province, Vietnam: 1. Rainfall and rainy days. Sustainable Urban Regeneration (SUR), Japan. No.8, pp.40-43. 23. T. N. Bui, K. W. Kim, L. Prathumratana, K. Y. Lee, T.H. Kim, S.H. Yoon, M. Jang, and Duong Du BUI. 2011. Application of Fuzzy Analytic Hierarchy Process to Sustainable Development Evaluation for Mining Sector. Geosystem Engineering Journal. (No. 14(1), pp. 54-60). 25. Duong Du BUI, Kieu Duy Tran, and others. 2013. Development of an urban stormwater management framework toward building climate change resilient cities in Vietnam. Journal of Natural Resources and Environment, Vietnam, p56-65, No. 1. 26. Vu Minh Cat, Duong Du BUI. Application of Mike package to assess hydraulic regimes and flood mapping when construction of thermal power at the Mong Duong estuary, Quang Ninh, Vietnam. Journal of Water Resources and Environmental Engineering. Special issue for Internaional Estuaries workshop, Hanoi, Vietnam. pp 13-22. 2007. 27. Vu Minh Cat, Duong Du BUI. Assessment on the groundwater characteristics in the Red river delta serving the daily water exploitation. Journal of Agriculture and rural developments, Vietnam (ISSN 0866-7020). No 58(2), pp 45-53. 2005. 28. Vu Minh Cat, Duong Du BUI. Current status of arsenic contamination of groundwater in the Hatay province, Vietnam. Journal of Geology, Vietnam. No 295. pp 20-27. 2006. 29. Duong Du BUI, Thao Thanh PHAN. Numerical modeling for assessing impacts of Mong Duong thermal power factory to hydraulic regimes and inundated areas in the downstream of the Mong Duong River, Quang Ninh, Vietnam. Journal of Water Resources and Environmental Engineering, Vietnam, No.14, pp 54-61. 2006. 30. Duong Du BUI, Vu Minh Cat. Extensional application of Visual Modflow to study hydrogeology of coal mines in Quang Ninh province. Journal of Water Resources and Environmental Engineering, Vietnam, No 2. pp 75-82. 2004. 31. Duong Du BUI, Vu Minh Cat, Thanh Ngoc TONG. 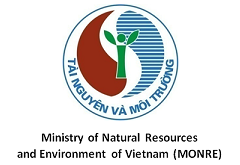 The possibility of artificial recharge to groundwater resources in Hanoi, Vietnam. Journal of Water Resources and Environmental Engineering, Vietnam. No 2. pp 111-122. 2004. 33. Tong Ngoc Thanh, Nguyen Chi Nghia, Bui Du Duong, 2014. Water Res. Investigation and Planning in Vietnam: Current state and its contribution to water governance. “Role of in parliamentary water governance” Workshop, 11 Dec 2014, Vietnam. 35. Nguyen V. C. Nguyen C.T, Bui Du Duong, Nguyen. V.H. 2014, Public awareness, attitudes and behavior towards community-based water monitoring in Vietnam: A pilot study in Hanoi city. The 3rd VACI Symposium and Exhibition. 38. Duong Du Bui, Rama R. Karri, and others (2012). Catchment-scale rainwater harvesting by barrages: A simulation study of Punggol-Serangoon reservoir system in Singapore. Proceedings “Water & the City”, June 2012, TU Delft, The Netherlands. 42. Duong Du BUI, A. KAWAMURA ,and others. Spatial decline distribution of groundwater levels of confined aquifer in the whole Red River Delta, Vietnam. World Environmental and Water Res. Congress by ASCE in California, USA, May, 2011. 43. A. KAWAMURA, Duong Du Bui, and others. Trend detection in groundwater levels of Holocene unconfined aquifer in Hanoi, by non-parametric approaches. World Environmental and Water Res. Congress by ASCE, California, USA , May, 2011. 44. Duong Du BUI, Akira KAWAMURA, and others. Trend analysis of confined and unconfined groundwater levels in Hanoi, Vietnam by Mann-Kendall test. Int. Conference on Hydrological Regime and Water Resources Management in the Context of Climate Change HWCC2010, Hanoi, Vietnam. Int. Hydrological Program IHP-VIII, UNESCO. 11/2010, pp. 305-312. 45. Hiromi BODA, Duong Du BUI, and others, Spatio-temporal characteristics of one-minute rainfall in Tokyo. The Fifth Conference of the Asia Pacific Association of Hydrology and Water Resources HWCC2010, Hanoi, Nov, 2010, pp. 527-534. 47. Akira KAWAMURA, Duong Du BUI, Thanh Ngoc TONG, Hideo AMAGUCHI, and Naoko NAKAGAWA. Identification of aquifer system in the whole Red River Delta, Vietnam. International Scientific Conference on Water Observation and Information System for Decision Support. 25-29 May 2010 - Ohrid, Macedonia (published online). 2010. 48. Bui Thi Nuong, Suthipong Sthiannopkao, Kyoung–Woong Kim, Duong Du BUI. Prevalence of arsenic in groundwater resources in Hanoi2, Vietnam. SEGH 2010 International Conference on Environmental Quality and Human Health, Galway, Ireland, (pp.51-52). June 27- July 2, 2010. 50. Akira KAWAMURA, Duong Du BUI, and others. Hydrogeological Framework for Potential Groundwater Resources in Hanoi, Vietnam. Proceedings of International Conference on Hydrology and Disaster Management. International Hydrological Program IHP-VII Technical Documents in Hydrology No.03, UNESCO, Wuhan, China (pp.192-198). 2009. 51. Duong Du BUI, and others. 3D Numerical modelling on Salt water intrusion of groundwater resources at Red river delta, Viet Nam. Proceedings of 4th Vietnamese -Japanese Students’ Scientific Exchange Conference, Kyoto, Japan. 11/2008. 52. Vu M. Cat, Le X. Roanh, Duong Du BUI, and M. Umeyama. Study on saline water intrusion into estuaries of Red-Thai Binh Rivers in the dry season. International Symposium on Sustainable Urban Environment (p.80-89), Tokyo, Japan. 2007. 53. Duong Du BUI, Hien Thu DO, Hoang Anh HOANG, Nuong Thi BUI. Research on the groundwater pollution and its effect on the community health in Ha Noi, Viet Nam with the support of GIS and Mathematical model. Proceeding of the International workshop on Bio-Medicine. pp 338-343. Hanoi, Vietnam. 2007. 54. Thuy Thanh NGUYEN, Thanh Ngoc TONG, Duong Du BUI. Researching and applying the mathematical model for estimating groundwater balance in Red river delta base on the relationship between surface and ground water. Proceeding of the 10th Scientific Conference on Hydrology, Water Resources, and Environment, Hanoi Vietnam. 55. Vu Minh Cat, Duong Du BUI. Assessment of saline water intrusion into estuaries of Red-Thai Binh river during dry season having considered water released from upper reservoirs and tidal fluctuation. Proceeding of International Estuaries workshop, Hanoi, Vietnam. 2006. 56. Tong Ngoc Thanh, Bui Du Duong, Cecilia Tortajada, Inovative Water Solutions for Vietnam and region,282 pages, ISBN, 978-604-62-9664-8.Vietnam National University Press. 58. Tong Ngoc Thanh, Bui Du Duong, Du L.T. Tien (2015). Water Security in a changing Era, Vietnam National University Press, 396 pages. 61. Tong Ngoc Thanh, Nguyen Ngoc Ha, Bui Du Duong, and others (2015) Water Res. 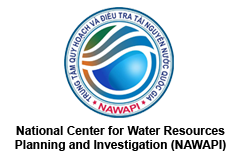 Investigation Practical Guidebook, National Center for Water Resources Planning and Investigation (NAWAPI) at Ministry of Natural Resources and Environment (MONRE) of Vietnam, 77 pages. 64. Tong Ngoc Thanh, Duong Du BUI, and others, (ongoing). Water Resources planning circular. A legal document for MONRE. 65. Tong Ngoc Thanh, Duong Du BUI, and others, (ongoing). Water res. monitoring circular. A legal document for MONRE. 66. Akhilesh Suran, Duong Du BUI, and others, Understanding Hazard, Risk, Vulnerability and Capacity in a megacity: Reflections from Tokyo Metropolitan Area. A case study in Asia-Pacific Initiative on Disaster Management and Humanitarian Assistance - a multi-institutional collaborative education program,2010, UNU, Tokyo, 79pages.